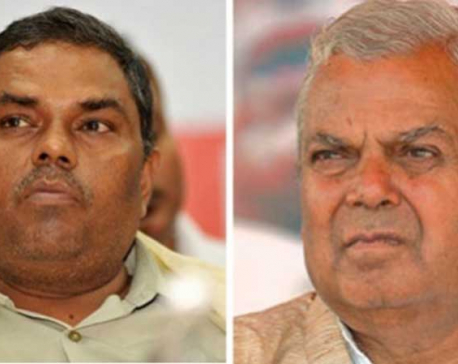 KATHMANDU, Feb 25: Power tussle among different factions within the CPN-UML and struggle of old versus new faces in CPN (Maoist Center) have further deepened the already wide rift between the two left parties that command majority in the parliament. The rift between the left alliance members first became visible during selection of candidates for federal and provincial polls and later during appointment of parties' nominees for provincial governments. As multiple factions in both UML and Maoist Center wrestle for their survival in the new political alignment necessitated by the ongoing unification, neither party has been able to pick their nominees for Prime Minister KP Sharma Oli's cabinet a week after the formation of the new government. All second-rung leaders of both sides are putting extra efforts to secure a rightful place either in the government or in the unified party. As the row over ministerial portfolios drags on, PM Oli and Maoist Chair Pushpa Kamal Dahal have found them in a situation wherein they won't be able to resolve the row over portfolios without angering several leaders in their respective parties. The latest bout of factional feud, which was triggered with the row over ministerial berth for federal government, has been seen as an early sign of bigger crisis in the making for the two coalition partners which have already announced their unification pending some paperwork. In UML, two factions led by senior party leaders -- Madhav Kumar Nepal and Jhala Nath Khanal-- have joined hands against Oli. The two factions have demanded at least six key portfolios arguing that they were unfairly treated during sharing of power at provincial level. Chief ministers in four provinces where UML formed the government were from Oli's camp. 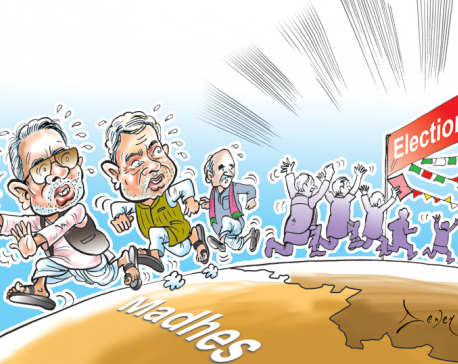 Other factions have also accused Oli of cornering them in appointment of speakers and ministers for seven provinces. Talking to Republica earlier this week, UML Secretary Yogesh Bhattarai said that no consultations were made in issues pertaining to power sharing or unification between UML and Maoist Center. Within the Maoist party, leaders who stuck to the mother party during the vertical split in 2012 have accused Chairman Dahal of rewarding "traitors", while ignoring those who stood by his side at difficult times. The ten offshoots of former Maoist rebels which were integrated in 2016 have made a strong presence in the party. Leaders considered loyal to secretary Ram Bahadur Thapa have been able to grab key portfolios at the provincial government. Thapa and at least two leaders close to him are expected to join the government. Similarly, few other leaders who deserted the party including Matrika Yadav are also expected to be appointed ministers. This has generated strong reaction from leaders who stayed in the mother party during the past split. A group of leaders loyal to Chairman Dahal including Barshaman Pun, Janardan Sharma, Top Bahadur Rayamajhi, Shakti Basnet , who got opportunity to became ministers time and again, have been exerting pressure on party chairman against sending more than three leaders from reintegrated factions. "He is repeating the same mistake again by trusting people who have betrayed him time and again right from the onset of the Maoist rebellion," said a leader. Maoist spokesperson Pampha Bhusal, however, said that the current dispute was natural due to several aspirants for few positions. She said that the party was in favor of giving chance to new and untested faces.